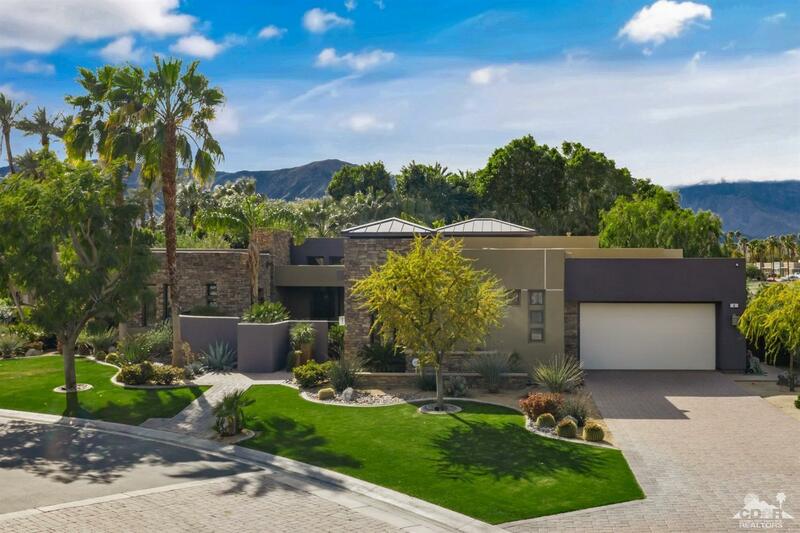 Gorgeous Contemporary estate in the heart of Rancho Mirage at Dominion. Four bedrooms, four and a half baths, approx. 3,811 sq. ft. on half acre lot. Features great room with fireplace, towering ceilings and pocket doors opening to beautiful interior courtyard with dining. Gourmet kitchen with center island / counter bar and stainless appliances. Formal dining room with built-in buffet and wet bar. Large master suite with sitting area, built-in entertainment center and spa inspired bath. Backyard hosts a loggia, pebble tech pool with tanning shelf and raised waterfall spa. 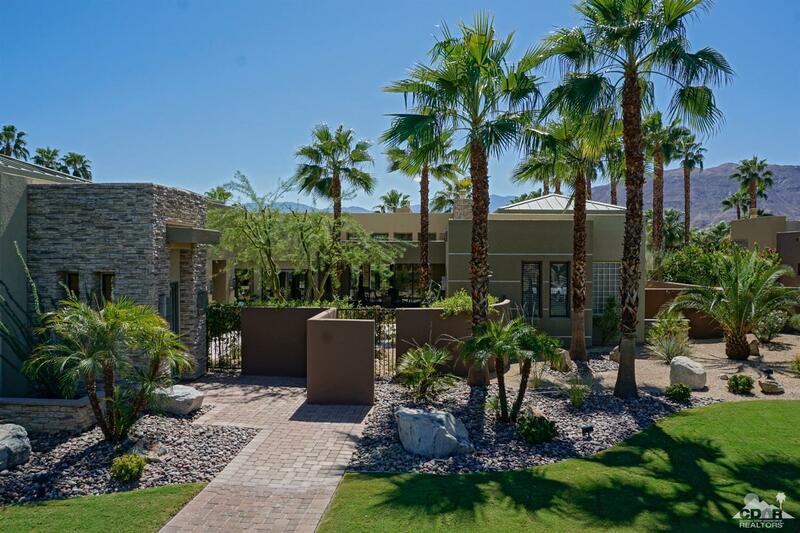 Perfect desert landscaping and spectacular mountain views! This one has it all! Furnishings are available.